Wessex Archaeology is one of the largest independent archaeological practices in the UK and is a registered Charity whose aims are to promote the advancement of education and the advancement of the arts, culture, heritage and science. We recognise that our employees are paramount to our success and aim to foster a working environment that protects the physical and mental well-being of our people. We are currently seeking to appoint an experienced manager for the role of Marine Geophysics Manager in our Salisbury office to enhance our established and dedicated team. In this role you will have the ability to influence and promote continuous improvement and positive change within both the marine geophysics and wider Geoservices team. You will deliver marine geophysics services to a high standard and contribute to company business success, in line with the vision and values of the company. You will be responsible for building and managing the team, provide for their training, mentoring and coaching needs, and helping them to develop their skills. With a strong understanding of marine geophysical techniques and their application to archaeology. You will promote our services to existing clients and identify new business opportunities to develop and grow the business, and work with the wider company to deliver these services. Additionally, you will also undertake project management involving tendering, activities, deliverables and finances of projects. have a full UK Driving Licence. Applicants are invited to submit a completed application form (available from the vacancies page on our website http://www.wessexarch.co.uk/vacancies with a copy of their CV; and returned by e-mail to wa.applications@wessexarch.co.uk by the 3rd May 2019. Receipt of all applications will be acknowledged. Further details, including Job Descriptions can be downloaded from our website. For all queries, please contact Louise Tizzard (Geoservices Director) l.tizzard@wessexarch.co.uk. 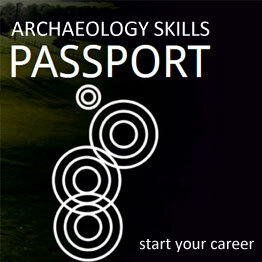 Whilst Wessex Archaeology welcomes applications from all sections of the community and is committed to promoting equality of opportunity, it is essential that all applicants must be either a British citizen, EU National or hold a full work visa or must hold a current work permit. Proof of identity and eligibility to work in the UK will be required prior to commencement of employment.